Kotor: Will the Coalition Last? December 4, 2018 - The continuation of the 16th and the beginning of the 17th regular session of the Municipal Assembly of Kotor, which was supposed to, among other things, decide the confirmation of the 14 decisions that had been taken by the mayor Vladimir Jokic (Democrats) was not held yesterday because the president of the local parliament Dragica Perovic DSS) canceled it due to "the impossibility of attending sessions at the scheduled term by certain members of the ruling coalition." According to our findings, the collegium of the president of the SO will be held on Wednesday when it would be necessary to finally determine whether the local parliament will be scheduled again by December 29th. Then, the half-year term expires in which, according to the law, if there is no Session, the Government introduces forced administration to the municipality as an introduction to extraordinary local elections. "On our side, once again in spite of the difficult words heard in the past days, we will talk to our partners and we will try to reasonably overcome the problem and preserve the local government. However, the other side is needed by for achieving the agreement," said the source from the top of Kotor local government. The ruling coalition (Democrats, DF, URA and SDP) in SO Kotor, with parliamentary support from SNP, has 17 votes of councilors, while the opposition made by DPS and its close parties has 16 councilors. The last parliamentary session of the Kotor parliament was held on June 29th, when the meeting was interrupted because they did not vote on the purchase of Jugopetrol real estate in Škaljari and the industrial zone because Nova and SDP were against it. Since the end of June, the parliament has been virtually blocked by disagreements among local government actors, predominantly Democrats and URAs on one hand and SDP on the other. The Party of Ranko Krivokapic withdrew support for the purchase of Jugopetrol's real estate, on which its staff has been working since the beginning of this project rated as very important for the further development of Kotor. Mayor Vladimir Jokic (Democrats) SDP objected that "it would usurp the basic Constitutional and legal right of Municipal Assembly members to decide, without calling them" and that in the meantime he has allegedly issued a number of illegal decisions, to which Jokic replied that he had, according to the law, the right and duty in a situation where the work of the local parliament is blocked. SDP also accuses Jokic that "as a tool of the waste from SNP Snezana Jonica", in the local public enterprise employees are being dismissed from SNP personnel and appointing them to Jonica or her associates with whom she allegedly makes a new party. The SDP felt threatened because a possible replacement of Krivokapić's party Mladen Lučić from the position of director of the Utility company that is, Safet Luković from the position of director of the company Water and Sewage was announced from the circles close to Jonica. SDP had to let the staff of DF and Jonica's SNP wing, which controls all SNPs in the Kotor parliament, several vital places in the municipal company Luka Kotor, which in no way beneficial to that party. DPS has not yet announced whether they will formally submit an initiative to vote for Jokic's distrust, because they do not have a decisive, 17th vote among the party councilors at the state level, officially a "heavy" opposition to the DPS. 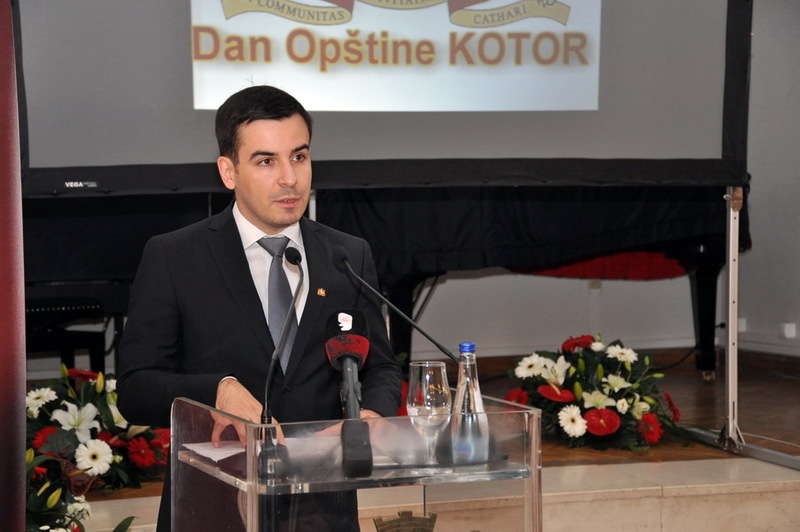 From OO SDP Kotor, they confirmed that they would attend the Collegium of the President of the SO on Wednesday "in order to re-request the return of legality in the work of the local self-government and finally to hold a session of the SO that would decide on the decisions they made on its behalf". "For us, the primary interest is the respect of the law and the will of the voters who have made it clear that the government must work in the interests of the citizens."